Do you embed videos in your policies and procedures in Way We Do? You should! Adding videos to your company manual comes with a lot of immediate benefits for your team. Videos add audio and visual components to your content that is interesting, engaging, and fun for users. There is no better way to clarify a difficult concept than with a video that shows exactly how tasks are to be done. You may already know that Way We Do allows you to embed videos and other rich media easily with our built in editing tools. This includes videos hosted on popular sites such as Youtube and Vimeo, which are great options when you are looking for pre-made videos to support your content. 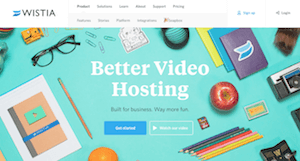 Did you know that there are more options for video hosting? There are, and they come with some great benefits for organizations that produce their own video content. After putting in the effort to produce videos for your company manual, you want them to be represented in the best way possible. Enter SproutVideo and Wistia. Professionally hosted videos don’t contain ads or suggested videos, so your team won’t be distracted from the task at hand. Both Wistia and SproutVideo have options to customize the video player and add valuable content such as forms, links, and branding elements. 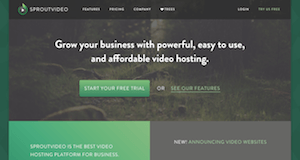 Professional video hosting platforms offer advanced analytics so you can see who is watching your videos, and even how they are watching them. Includes advanced security settings, custom URLs for videos, and plenty of sharing options. Overall, these platforms provide a better video viewing experience for your team members, which is why we recommend using a professional host for any video owned or produced by your organization. Need help embedding videos into procedures? Are you looking to systematically implement marketing campaigns that consistently achieve great results? Lately, our team has been focusing on creating pre-written marketing and business growth procedure templates to enable business owners to deliver consistent campaigns with great results.